The Atlanta REIA Cashflow Players Group, a new special interest group led by Alan McDonald, is a meetup where individuals can learn to take control of their financial future by playing Robert Kiyosaki’s educational Cashflow 101 and Cashflow 202 board games. This group will be playing at 6:30 PM just prior to the Late Nite Networking Event held at the Cheyenne Grill located at 2391 Peachtree Rd NE Atlanta, GA. Come play with us! The Late Nite Networking Main Monthly Meetup is held on the first Wednesday of the month at 8:00 PM until late at the Cheyenne Grill located at 2391 Peachtree Rd NE Atlanta, GA. This is our main meeting for the month. There is a $2.00 cover charge at the door. So come eat, drink and NETWORK and HAVE FUN with us! Show up early at 6:30 PM if you want to play the Cashflow Game. The Haves and Wants Meeting, hosted by Joe Thompson is a weekly real estate investor brainstorming and deal making jam session held at the Lucky Devil Brewery (formerly 5 Seasons Brewing) located at 5600 Roswell Rd in Sandy Springs, GA inside the Perimeter at the Prado from 1:30 PM until 3:30 PM. The Haves and Wants Meeting meets every Thursday except major holidays. 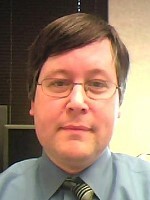 David Lindahl is out on the road and is going to do a short webinar with us on Thursday, December 3rd at 7:00 PM. Dave is going to tell us what he’s been up to lately in regards to his own commercial real estate investing deals, what he’s going to be talking about at our Atlanta REIA Main Monthly Meeting on December 6th and also about his upcoming Wealth Builder Conference in Atlanta. Register for the webinar now! The Atlanta REIA Cashflow Players Group, a new special interest group led by Alan McDonald, is a meetup where individuals can learn to take control of their financial future by playing Robert Kiyosaki’s educational Cashflow 101 and Cashflow 202 board games. Come play with us on Sunday, Dec 5th and 19th at 6:30 PM at the Taco Mac Prado located at 5600 Roswell Rd, Sandy Springs, GA! Our good friend and Commercial real estate expert David Lindahl to speak on the secrets of his success at our next Atlanta REIA Main Monthly Meeting on December 6th at the Doubletree Hotel in Roswell! 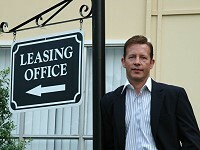 Just so you know, David has rehabbed over 820 houses in just under 10 years and currently owns over 7,400 apartment units and has a wealth of information to share with you. So mark your calendars and come join us at our December 6th Atlanta REIA Meeting to find out how to get started investing in commercial real estate. Everyone who attends will get complimentary tickets to David’s 2 Day Wealth Building Conference in Atlanta on Dec 11th and 12th, so don’t miss out! Immediately following our Atlanta REIA December Meeting, we will be having our 1st Annual Atlanta REIA / Late Nite Networking Christmas Party at the Doubletree Hotel located at 1075 Holcomb Bridge Road, Roswell, GA. There will be music, a cash bar and hors d’oeuvres. If you wish to attend, you must RSVP so we make sure we have enough food. Please email Chrissy at chrissy@atlantareia.com and let her know you are coming. We can’t wait to see you there! Wed, Dec 6th: Join Atlanta REIA as a Business Member and Save $200!! That’s right, any business who joins Atlanta REIA at our Atlanta REIA Meeting on Dec 6th only as a Silver Business Member for $150 will automatically be upgraded to an Atlanta REIA Gold Charter Business Member ($350 value) for no additional charge! This is another $200 savings for joining on December 6th and December 6th only. Atlanta REIA South will begin meeting again on December 13th led by Reggie Jackson at Ryan’s Restaurant located at 5425 N Henry Blvd in Stockbridge, GA at 6:30 PM and will continue to meet on the 2nd Thursday of the month thereafter. We will also be having Late Nite Networking following Atlanta REIA South at the Taco Mac in Stockbridge starting at 9:00 PM. Join Atlanta REIA and Attend Our Saturday Workshop at No Charge! 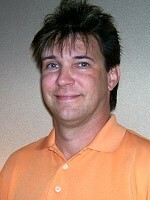 On Tuesday’s Webcast, Jeff Nix will be talking with local businessman and real estate investor Scott Bowen on some money saving rehab & repair tips and techniques. 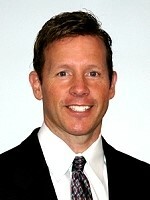 Click here to register for the webcast on GoToWebinar.com. The Atlanta REIA North Monthly Meeting is our newest Atlanta Real Estate Investor Group held on the 3rd Wednesday of each month at at 1960 Skylar Hill Dr, Suite D in Buford, Georgia. There is a $5.00 cover charge for non-members. There will be Late Nite Networking immediately following the Atlanta REIA North Meeting at 8:30 PM at the Mall of Georgia Taco Mac. The Late Nite Networking North Meetup is held on third Wednesday of the month at 8:30 PM until late at the Mall of Georgia Taco Mac located at 3250 Woodward Crossing Blvd, Buford, GA 30519. This Late Nite Networking event immediately follows the Atlanta REIA North Monthly Meeting. The Haves and Wants Meeting, hosted by Joe Thompson is a weekly real estate investor brainstorming and deal making jam session held at the 5 Seasons Brewing located at 5600 Roswell Rd in Sandy Springs, GA inside the Perimeter at the Prado from 1:30 PM until 3:30 PM. The Haves and Wants Meeting meets every Thursday except major holidays. 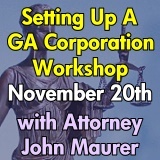 On Saturday, November 20th, Atlanta Real Estate Attorney John Maurer will be holding a Do-It-Yourself, But Not-By-Yourself Workshop on Setting up a Georgia Corporation in class. If you’ve been wanting to start a new LLC for your real estate investing business or any business, but have been putting it off…. now is your chance to finally get it done the right way, live in class with an attorney’s help, but without the expensive legal fees! The cost of the workshop is only $24.95 for Atlanta REIA Gold Members, $39.95 for Silver Members and $49.95 for non-members (Register Now). However, if you join Atlanta REIA this week as a Silver or Gold Member, you can attend this event at no charge as a “Thank You” for becoming a member. The Atlanta REIA Cashflow Players Group, a new special interest group led by Alan McDonald, is a meetup where individuals can learn to take control of their financial future by playing Robert Kiyosaki’s educational Cashflow 101 and Cashflow 202 board games. This group will share experiences, practice real world investing using Cashflow 101 and/or Cashflow 202 strategies and be provided with educational information which will increase your financial IQ. Come play with us! Just Announced: Commercial real estate expert David Lindahl to speak on the secrets of his success at our next Atlanta REIA Main Monthly Meeting on December 6th! Just so you know, David has rehabbed over 820 houses in just under 10 years and currently owns over 7,400 apartment units and has a wealth of information to share with you. So mark your calendars and come join us at our December 6th Atlanta REIA Meeting to find out how to get started investing in commercial real estate. Everyone who attends will get complimentary tickets to David’s 2 Day Wealth Building Conference in Atlanta on Dec 11th and 12th, so don’t miss out! Atlanta REIA South will begin meeting again on December 13th at Ryan’s Restaurant in Stockbridge, GA at 6:30 PM and will continue to meet on the 2nd Thursday of the month thereafter. We will also be having Late Nite Networking following Atlanta REIA South at the Taco Mac in Stockbridge starting at 9:00 PM. On November 20th from 9AM to 2PM at 1960 Skylar Hill Dr, Suite D, Buford, GA 30518 (map), Atlanta Real Estate Attorney John Maurer will be holding a Do-It-Yourself, But Not-By-Yourself Workshop on setting up a Georgia Limited Liability Corporation (LLC) in class. The cost of the workshop is only $24.95 for Atlanta REIA Gold Members, $39.95 for Silver Members and $49.95 for non-members (Register Now). How to check to see if your company name is available with the state. How to setup your operating agreement how to get a tax id in minutes. 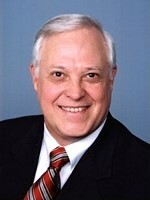 Update November 15, 2010: Atlanta REIA South Meetings will resume in Stockbrige on December 13th under new leadership. Late Nite Networking will follow the Atlanta REIA South Meeting. 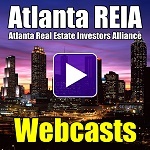 See Atlanta REIA South Monthly Meeting for more information. Hello everyone. We sincerely regret to inform you that Marc Fordham has canceled the SMART Group AKA Atlanta REIA South for November. Additionally he is canceling all future meetings as well. See Marc’s email below for his reasons. Atlanta REIA will be attempting to make other arrangements to form a new Atlanta REIA South group in the near future. If you would like to help us start such a South, East or West group, please let us know. In the meantime, please check out our Atlanta REIA Calendar for other meetings we have throughout the month or in the Atanta area. 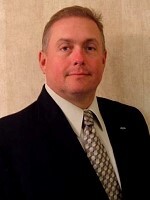 On our October 21st, 2010 Atlanta REIA Business Opportunities Webcast, credit repair expert Rick Harper of Summit Credit Group (an Atlanta REIA Business Member) spoke to our members and guests how to repair your credit and your life and that of your family members, customers, tenants and buyers. Rick took live questions from our audience about credit repair and removing negative items such as inquiries, late payments, tax liens and even bankruptcy and foreclosure from their credit reports.